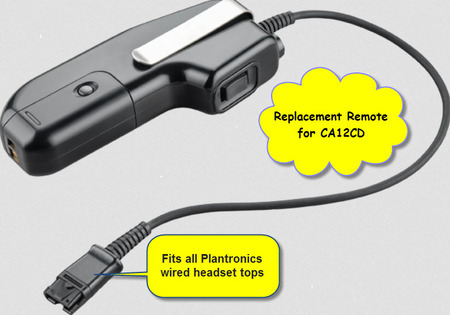 Replacement Remote PTT Unit For Your CA12CD system. Do you use your Plantronics CA12CD all day every day? 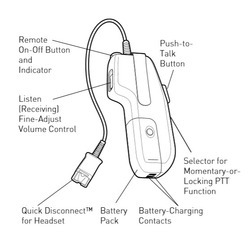 Have you lost / broken your Remote Push-to-Talk Unit? Never fear, you no longer need to buy a full replacement CA12CD system - you can simply buy this Remote Unit and pair it with your working base. With the downturn in mining, don't waste money purchasing a complete CA12CD wireless headset system when all you want to replace is the Push-to-Talk unit. This unit comes complete with a brand new battery pack (PN: 80322-01). In Australia, compliant CA12CD's must operate in DECT™ frequency band (1.88 to 1.90 GHz). 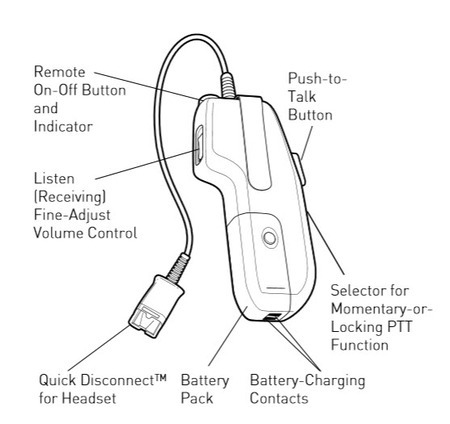 This means that your replacement remote must also operate in the DECT band. DO NOT buy a US model off eBay - it will not work.